Thank you for visiting my site! 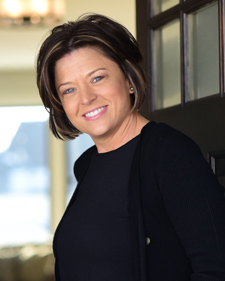 As a Realtor in Minnesota, I represent buyers and sellers in the sale and purchase of residential real estate. I assist clients throughout the Twin Cities, focusing on the western and south western communities of Maple Grove, Minnetonka, Eden Prairie, Bloomington, Richfield, Southwest Minneapolis, Prior Lake, and Savage. In addition to working with local buyers and sellers, I consult with area companies whose employees are relocating to the Twin Cities. My goal is to match buyers and sellers of properties whether they’re single-family homes, townhomes, condos or lakeshore – and to negotiate the best offer possible while make the moving process as seamless as possible. I’m a native Minnesotan, and I appreciate the state for all it has to offer, including the very cold winters and hot summers. You can find more details about Minnesota, including its culture, conveniences and quality of life, here. Like the changing climates in this state, the real estate market changes very quickly. Over the years, I’ve found that I can best assist my clients by researching, identifying and reacting to housing trends. Today, that philosophy is more important than ever. I keep up to date on this rapidly shifting industry and develop marketing plans that respond to those changes, feature homes with maximum exposure, meet clients’ needs, and aid in quickly transitioning buyers into home owners and sellers into their next purchase. My real estate marketing philosophy includes personal attention, thoughtful communication, a focus on details and research, and internet-driven marketing. Prior to entering the Real Estate industry I was in corporate sales both as a manufacturer’s rep calling on Target Corporation and as an Account Executive in the Recruiting/Staffing industry. My hobbies include boating, cooking and fitness. Selected as a Real Estate Expert for HGTV’s My House is Worth What?